We are now in the depths of winter. Our Saarinen Organics Chest rub is a warming and comforting blend of essential oils to help you relax and breath deeply. My daughter says “its like a warm hug” with a uplifting aroma of our Australian bush. Eucalyptus, Rosemary, T-tree (cajput), Rosalina, Peppermint and Lavender. Further more you can put these essential oils into a burner to help with the winter blues. The following are extracts from research on essential oils.  Herbs grown on our Permaculture farm and made into our all natural skin care, from seed to skin. “Lavender is one of the most common essential oils available. It’s especially useful for respiratory disorders and symptoms such as colds, influenza, coughs, and sinus congestion; it can ease breathing problems when phlegm is trapped within the sinuses and lungs. Apply a few drops of lavender oil on the back, neck, or chest for relief.” from Doctors health press. I’ve been using Saarinen Organics for the past 8 years, all their products are amazing. I love thats it’s all natural local and Kay makes each product herself, I know what’s in it and it’s safe for my kids with no chemicals. Her calendula cream is awesome with her chest rub having an amazing smell and her face creams are so glorious to put on, once you’ve used her products you’ll never use anything else again.